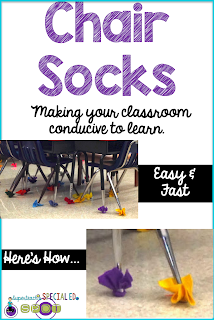 Its the little things sometimes that get noticed and work so well in a classroom of special education students. Don't get me wrong, general education classrooms need to work well also, and the little things count there too, but in special education, the littlest things can make or break a day sometimes. Sometimes its colors of chairs, pencils, who touches your lunch box or moves your chair. This summer I found a simple, but cool pin on Pinterest. It was one of those things that seemed so simple, it was like "How did I not think of this before?" When school rolled around and my tennis ball solution for my chair and table legs scraping on the tile floors began to be a problem because the balls were falling off the legs when the chairs were moved, I remembered this pin. While I cannot claim this as an original idea, I have modified it and wanted to share it with all of you. An idea of putting felt booties or socks as we call them in my room has been the BEST thing since sliced bread. They are quiet, easy to install, economical and easy to replace if they get too dirty. My tennis balls were so dirty. I had tried to dress them up by drawing faces on them but it really didn't help. The cuts in them were expanding and I needed something different. 1- 9" x 12" piece of felt cut into 4 equal pieces. 1 zip tie at least 7 inches long (length helps in ease of fastening) Mine would work with a 4 inch zip tie, but it took longer to get it fastened and secured. Depends on your chair leg circumference also. Pair of scissors to cut felt. 2. Turn the chair upside down and cover one leg glider with one piece of felt. 3. Use a zip-tie and fasten it around the felt and pulled tightly to secure. 4. Cut off any loose end of the zip-tie. 5. Spread out the felt as seen with the yellow sock on the right in the picture above. You can choose to leave it gathered like the purple sock on the left. The possibilities are endless I think as to what you could do with these. I did several color variations in my classroom just to add pizazz and to satisfy certain color preferences of a couple of my students. We have a couple of chairs with football team colors, one chair with all pink feet and chair socks coordinated according to the location in the room to which they belong such as the reading table, computer center or individual centers. I have several center areas specified by color. You can see by the picture to the right how I color coordinated the center colors with the chair socks. This red center table has red tape around the edges. The chairs have red tape on the back to designate the chair belongs at that particular center and NOW, the chair at the red center has red chair socks. All color coordinated!!! Over the years I've tried many things on chair legs but so far this is my favorite. Sometimes simple is the best! 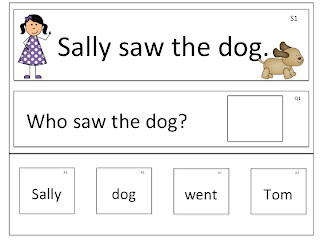 Last week I showed you a preview of a product I was working on for my students to improve reading comprehension. It has simple 1 sentence text with basic WH questions. This activity has limited clip art so as not to distract from the content and includes answer prompts that can be cut out and placed in the answer square or they can left intact on the card and used as a worksheet. They can even be laminated and then you can use wipe off markers for students to draw a line from the answer space to the correct answer. So as promised, just for you, my blog readers, here is a FREE sample of this new product. Its a SALE! Its a SALE! Its a SALE! Its a SALE! Are you still needing those last few things to make your classroom complete? 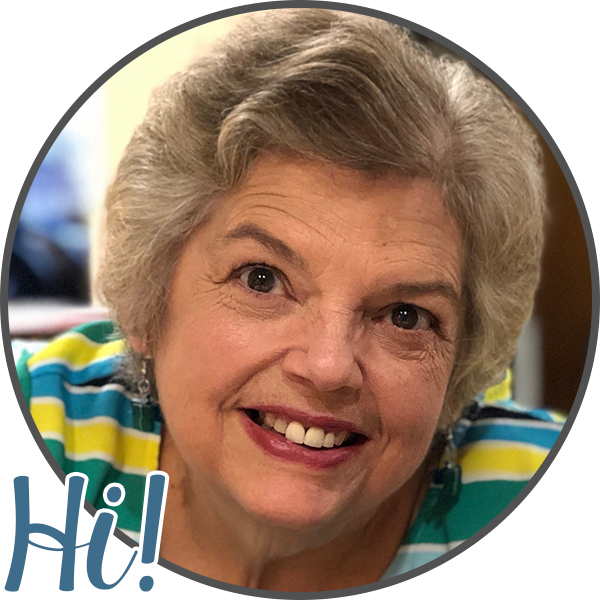 Check out Superteach56's TPT store! I am having a SALE this week! 15% discount on practically everything. Be sure to check it out! 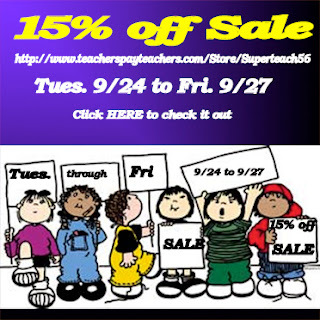 Sale starts Tuesday September 24th through Friday, September 27th. Don't forget our friends over at Manic Monday as well! 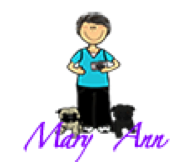 Check them out for all the great freebies. I"m posting early this week but Manic Monday won't live until tomorrow so come back and visit again. I came over for the freebie, but I love the noisy chair solution. Thank you.